Studies show that the number of people who kill themselves increases in the months following high-profile suicides. The tragic deaths of fashion icon Kate Spade and celebrity chef Anthony Bourdain remind us that no one is immune, including the people we know and love. If a person expresses hopelessness, loses interest in what used to bring joy or engages in risky behavior, she or he might be at risk. Visit the webpage, “We Can All Prevent Suicide,” to learn all the warning signs and what you can do if someone you know needs help. 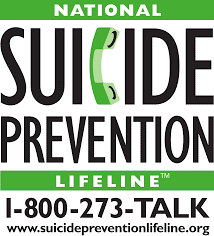 The information is courtesy of the National Suicide Prevention Lifeline (1-800-273-8255), another valuable resource. According to the Centers for Disease Control, the suicide rate rose 25 percent between 1999 and 2016. At any given moment, one of our loved ones, friends, neighbors, colleagues, clients, patients and, especially, our youth might be suffering enough to consider taking their own lives. Below are 25 resources for understanding and helping prevent suicide; included are stories of hope. As a heads-up for supporting other important causes, we’re providing additional resources to promote National Minority Mental Health Month in July and World Day against Trafficking in Persons on July 30th. Mental Health First Aid trainings seek to empower community members to respond compassionately and directly when someone experiences a mental health challenge. In addition, Catholic Charities’ Mental Health First Aid facilitators take pride in adding restorative and culturally-aware ideas and discussions into these trainings. We offer Mental Health First Aid trainings focused on adult and adolescent mental health. These trainings can be offered in Spanish or English. Youth Mental Health First Aid courses are free to community members. Adult Mental Health First Aid courses area only $95 and include meals and all materials. Click here for a list of our upcoming trainings. 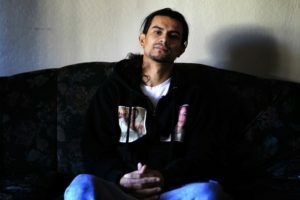 Javier Arango, a Catholic Charities of the East Bay Restorative Practices Specialist, is featured in the podcast episode “Aftermath: You’re Going Back to East Oakland.” The “Aftermath” podcast series spotlights the lives of gun violence survivors and is a joint venture between the Cincinnati Enquirer and The Trace, a news service focused on the crisis of gun violence. In other news, the heads of such organizations as the National Alliance on Mental Illness California and Mental Health America of California are praising Governor Jerry Brown for his commitment to mental health. The press release “Leaders Applaud Governor Brown’s Budget for Making Mental Health History” details his proposal to add more than $360 million in mental health funding to the 2018 – 2019 state budget. Psychology Today’s “Why do People Kill Themselves: New Warning Signs” includes the results of research into suicide notes, the role that “distress tolerance” plays and the top five ways to predict whether someone will attempt suicide and succeed. “How Celebrity Suicides Can Impact Those Already on the Edge” explains why the suicide rate goes up after famous people kill themselves. Business Insider published “Here’s One Way of Understanding Why Some People Kill Themselves” in the aftermath of Comedian Robin Williams’ suicide in 2014. The article describes six cognitive patterns that can lead to suicide. Medscape’s “U.S. Suicides Increasing at an ‘Alarming Rate,’ Says CDC” goes into detail about the spike in suicides in the last two decades. Learn what to look for and how to take action in “How to Help Someone who Might be at Risk of Suicide,” published by Vox Media, “Preventing Suicide,” offered by the National Alliance on Mental Health and “16 Warning Signs and Behaviors to Recognize,” from Mental Health Daily. Mediahealthguide.org’s article “Are you Suicidal?” offers advice and encouragement to help people manage thoughts of suicide and overcome emotional pain. 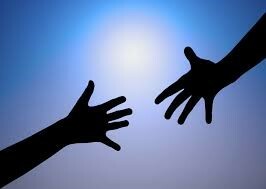 The National Action Alliance for Suicide Prevention website lists resources that law enforcement, workplace supervisors, the faith community, Native Americans and many other populations can use to help. 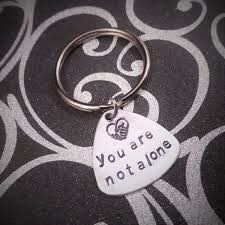 Included is information on how to support people in the aftermath of a suicide. The Suicide Prevention Resource Center relays information to help children, ages 12 and younger and young adults, ages 18 to 25. 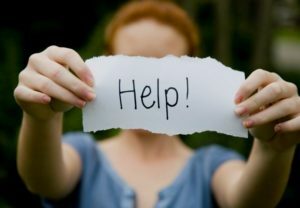 Parents who fear their child is suicidal can find help in “What to Do if You’re Worried about Suicide,” provided by the Child Mind Institute and “10 Things Parents Can do to Prevent Suicide,” offered by Healthychild.org. The Children’s Safety Network offers “Youth Suicide and Self-Harm Prevention,” an in-depth guide to support organizations, research, legislation, fact sheets and dozens of publications and other resources. The 2017 guide still has relevant information. Children and adolescent refugees are particularly vulnerable to suicide attempts because of trauma, stress and mental health challenges, according to the National Child Traumatic Stress Network. To help identify those most at risk, the organization has developed these guidelines. And the American Foundation for Suicide Prevention offers school administrators “A Model School Policy on Suicide Prevention” for implementation in their communities. “Always Tell Somebody: Krista’s True Story of Help and Hope for Teen Suicide Prevention” is a three-minute video in which the 15-year-old describes what she did to help save a suicidal friend. The webpage “Story Categories: Recent Suicide Attempts” spotlights people who have triumphed over despair and are living rich, fulfilling lives. In the TedTalk, “How Can We Prevent Childhood Suicide?” Registered Nurse Jenny Buscher shares sobering statistics and reasons to be hopeful. The Family and Youth Institute’s FYI Suicide Prevention Toolkit provides a comprehensive list of resources, including: a video for those at risk; a community action guide; infographics showing prevention and intervention techniques; the National Suicide Prevention Hotline (1-800-273-8255); specific strategies for religious leaders, educators and mental health providers and information on what to do after a suicide loss. The National Alliance on Mental Illness (NAMI) describes the history of National Minority Mental Health Month, shows how to get involved and provides general statistics and promotion images for its “Cure Stigma” campaign. Mental Health America offers a webpage of information, including statistics and graphics that can be used in promotions, stories about people living with mental illness and overviews of mental health issues in African-American, Latino, Native American and LGBTQ communities. The information is also offered in Spanish. The United Nations Office on Drugs and Crime (UNODC) created the Blue Heart Campaign to draw attention to human trafficking. UNODC provides these materials to help promote World Day against Trafficking in Persons (scroll to bottom of the page). For more resources regarding National Minority Mental Health Month and World Day against Trafficking in Persons, please see our July 2018 issue.